After months of anticipation, Alistair Schorn‘s 2015 Old Mutual joBerg2c journey has finally begun. The opening stage saw him battling the elements – including rain, wind and copious amounts of mud. Follow his grand adventure on Confessions of a Weekend Warrior on In the Bunch. Race day was finally here! Driving to the start, I’m sure most of us were very, very worried as we made our way through a Highveld thunderstorm. Fortunately, by the time we got to the start venue at Karan Beef just outside Heidelberg, the rain had stopped and the clouds had moved on. Quite a few people though were of the opinion that if this were a one-day race, they might not have made it past the Wimpy in town . 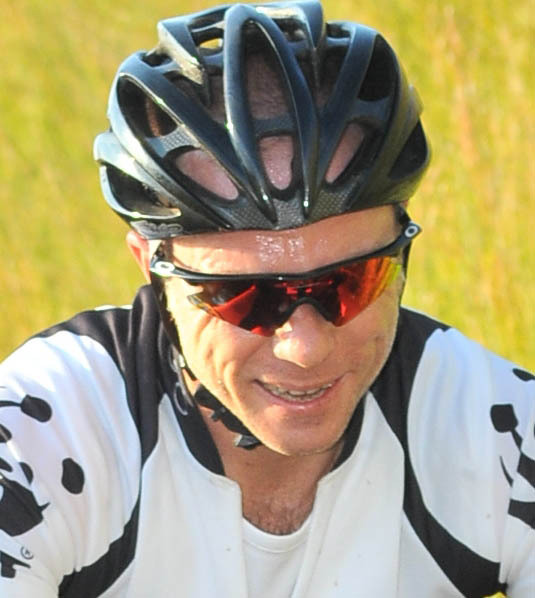 . .
Alistair Schorn talks about his muddy experiences on the first stage of the 2015 Old Mutual joBerg2c. In any event, as the start drew closer, excitement and anticipation in the bunch grew steadily, until eight o’clock finally rolled around and we were off. We soon came to realise first-hand the impact that the previous night’s rain, and the past few weeks’ precipitation, had had on the course. We negotiated our way through seemingly endless puddles of slush, or went bashing through the grass to try and find new lines that weren’t already turned to mud by the riders who had gone through ahead of us. On the other hand, the rain did firm up some of the very sandy sections but I reckon that, overall, most riders would have preferred the sand to the mud. The mud even played havoc with the N3TC Supporters’ Tour, with several of the vehicles getting stuck on the way to the Vaal River crossing – my wife’s included. My better half dug our camper van into the mud not once but twice. Fortunately the Off-road Rescue guys were close by, ready to break out their 4×4 toys and pull her out. The new river crossing, featuring three separate bridge sections, proved to be pretty interesting too. In this case, the term ‘floating’ bridges was quite relative, because it seemed that these were designed to float just under, rather than on, the water surface. Once we were through, it was back to the mud. It seems that Wappo went out of his way to send us through as many sections of swampy ground next to the Vaal Dam as he could. One of the highlights of the day was the Bambi waterpoint, with its complement of boeremeisies. Then it was on to the finish in Frankfort for some well-deserved Karan Beef steaks. All in all, definitely not the easy laid-back day one that we might have expected . . .
joBerg2c. Best. MTB. Route. Ever!